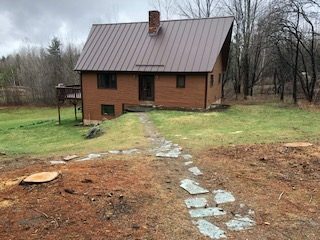 erosion control Archives | Zachary Berger Associates, Ltd.
Our newly finished project on a modest home in Stowe Hollow has neared completion. 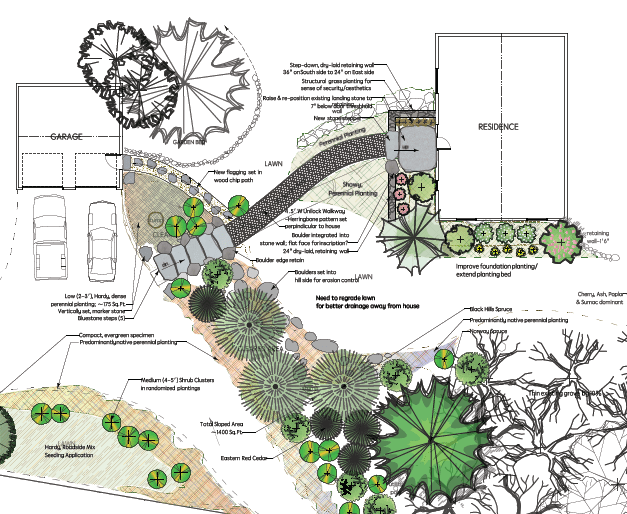 The initial site review with Loomis Property Services happened in the early Spring and shortly thereafter, the design phase began. Our collaborations with LPS, though short-lived, have been nothing short of amazing! A focus on design first, precise craftsmanship and an open line of communication has us off to a hot start in the Stowe region. Fairly straightforward, the homeowner needed a more defined walkway to access the front entry with a new landing at the front door. Before: The front entry walkway in dire need of attention. 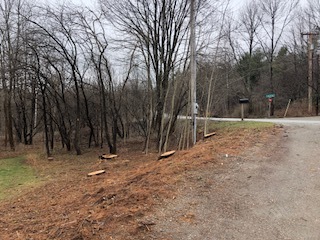 Another consideration to be made involved a re-design of the slope abutting the driveway. 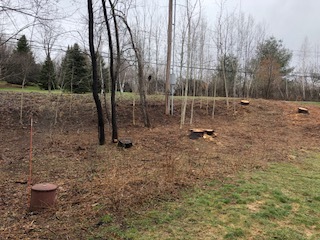 In the past, the client’s had enjoyed natural screening of the road from existing White Pine, but dangerous wind storms in October and April caused major damage. Enough damage occurred to force the homeowners to remove the entire screened area. As you will see from the initial design concept and the after photos, changes were made to conform to client and contractor needs and desires while the design intent remained intact. 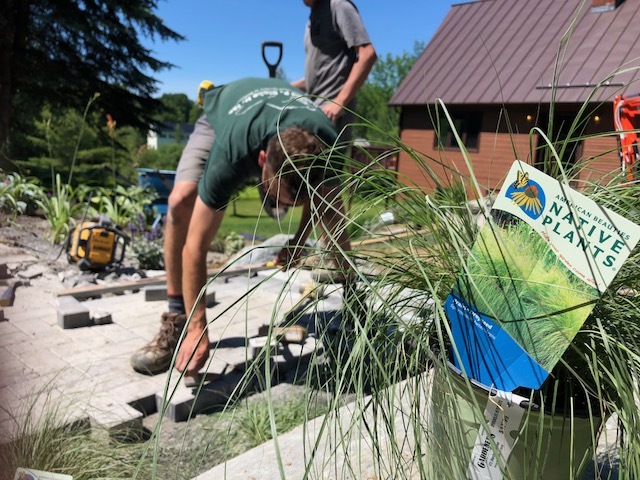 Please enjoy these photos from the newly installed landscape at our new project in the hills of Stowe, Vermont. Keep in touch-as the landscape grows in, we’ll be sure to post updated photos. Vermont Outdoor Patio: Does Sourcing Matter?